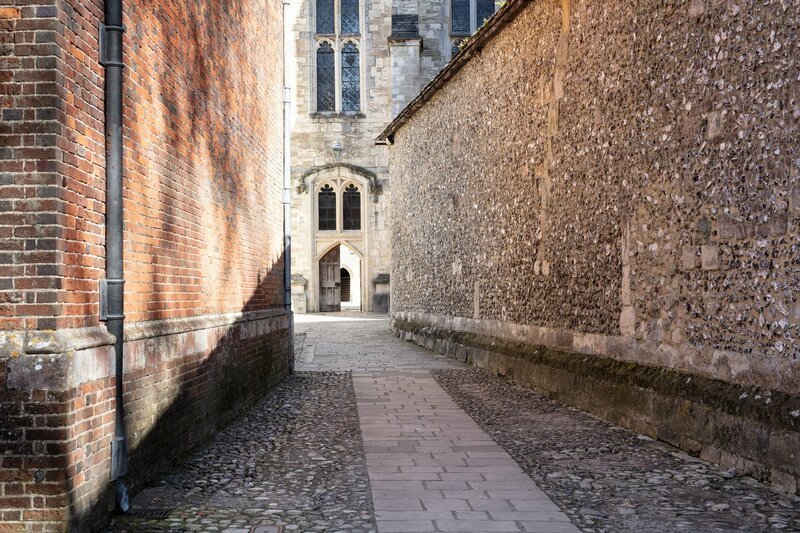 Winchester College maintains eighteen Grade I, six Grade II* and over seventy Grade II listed buildings. Many of these are of national importance; all are in current use. The collection of buildings that form the school today represents over six centuries of continuous development. As generations of former pupils will testify, living and working in such a setting is itself an education. We are uniquely fortunate in being able to maintain these beautiful buildings and surroundings so that over six hundred years since the original foundations were laid, the process of education can continue in the same location. Winchester is hugely fortunate in having extensive grounds of approximately 250 acres, including 100 acres of ancient water meadows; 4.5 miles of the River Itchen; 52 acres of playing fields and 11 acres of formal gardens - including the Warden’s Garden where boys can regularly be found having lessons in the summer term. We also maintain many areas of Outstanding Natural Beauty including St Catherine’s Hill, Twyford Down and the Fallodon Nature Reserve. The original buildings were built between 1387 and 1394. They include: The Chapel – The Chapel remains at the heart of the school community with regular services for boys and staff of a Christian faith. There are also services open to the public at 5.30pm each Tuesday (Choral Evensong) and Thursday (Sung Eucharist). Chamber Court – the heart of the medieval school, where the whole community ate, slept, worked and worshipped. Now predominately used by those boys known as Scholars who live in the school’s original boarding house. College Hall – where Scholars continue to eat each meal and where many school functions are held. Cloister – a medieval covered cloister portico. The stone benches helped it to serve as a place of study in the summer. It also acted as a recreation area, with evidence of medieval noughts and crosses carved in to its walls. It served as a burial place for many distinguished Old Wykehamists, as well as a location for some of their graffiti. To the original buildings were later added two chantry chapels, a College Sickhouse (now the school’s Common Room), and a School building in the style of Sir Christopher Wren. Here boys were taught for nearly 200 years; it now offers a study and events space. War Cloister – built originally as a memorial to 513 former pupils who died in the First World War, it remains the largest private war memorial in the United Kingdom. It was designed by Sir Herbert Baker as a prototype for War Cemeteries abroad and is now Grade I listed. Science School – Science School was built in 1904 in a neo-Queen Anne style to designs by Henry Hill. It is situated in a part of the campus overlooking the playing fields and water meadows. It houses extensive science laboratories and an observatory. Several of the older buildings have been put to new uses - the medieval brewery is now the school’s library, the sanatorium is the Art School, the original gymnasium is the theatre, and the medieval stables house the school’s museum of art and archeology, known as the Treasury. For more information on the school’s history and buildings, please contact Suzanne Foster, the College Archivist.